MP Police Constable Exam Question Paper 17 September 2017, Answers, Cut-Off Marks: Madhya Pradesh Professional Examination Board (MPPEB) is conducting MP Police Constable examination in various shifts from 19th August to 18th September 2017 at various centers ONLINE. Here we will provide Madhya Pradesh Police Constable Exam Question Papers with Answers Daily from 19 August to 18 September 2017 based on memory, and various online sources on our Mobile App, Facebook Page and Website by candidates. You can also share the MP Police Constable Exam Papers 19 August to 18 September 2017 in comment box and discuss the answer with candidates with possible cut-off Marks and other details. 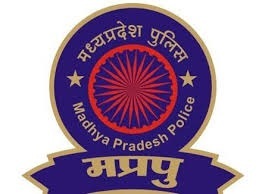 Check MP Police Constable Exam Papers 2016 Solved which was held last year Online from 17th July to 9th August 2016 in 3 Shifts, Morning, Afternoon and Evening at various centers across Madhya Pradesh by MPPSC. Temporary magnet is made of which food? - iron, magnetite, nickel etc.